Lazy or Active Traveller; all you need to know for Elafonisi! Home/Day Trips, Days to Remember, Kissamos Decoded/Lazy or Active Traveller; all you need to know for Elafonisi! Whether you are the kind of traveller that wants to spend each day of his/hers holidays as productive as possible or as lazy as possible this article will give you all the details you need! Your trip starts from Kissamos and goes through traditional villages to end in Elafonisi. By spending a day you will be able to see and explore a gorge, a historic tunnel, a cave, an old monastery and two of the most magnificent Cretan beaches with turquoise waters! The map below shows the places of interest that you meet in your route to Elafonisi. 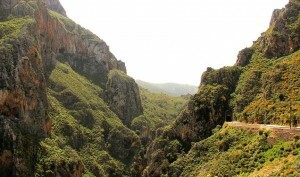 Once you pass by the village of Topolia you come across with the Topolia Gorge. 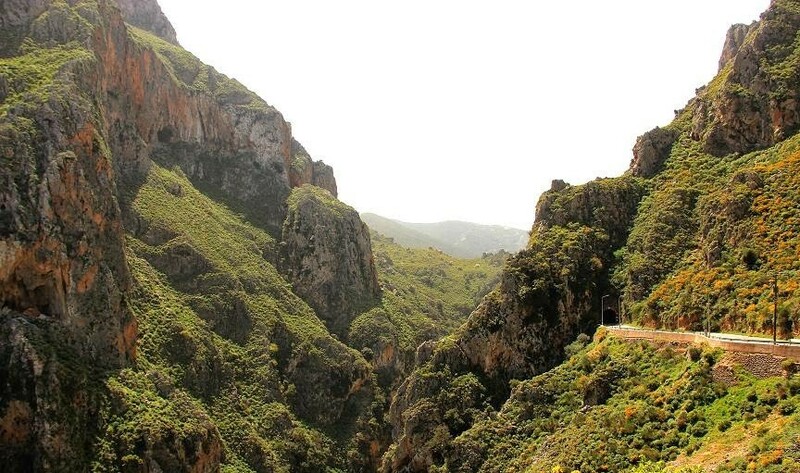 It is a small gorge that goes for 3 kilometers, from Topolia, 150 meters altitude, to Strovles, 450 meters altitude. The most interesting part is the one you see by the tunnel of Topolia. There are also many open parking areas to park and take some photos. At that point the rocks are very steep and impressive. The river Tyflos that runs through the gorge gives life to rich local flora. 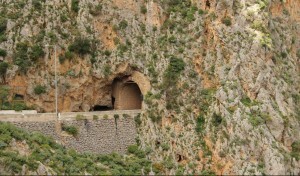 Topolia Tunnel is an old tunnel created about 100 years ago. The interesting fact of this is that it was excavated solely by the use of hand work as no machines or special equipment was available at that time. It is a really beautiful stone built tunnel width of 4 meters and about 100 meters long. There are traffic lights to manage the movement of the cars. 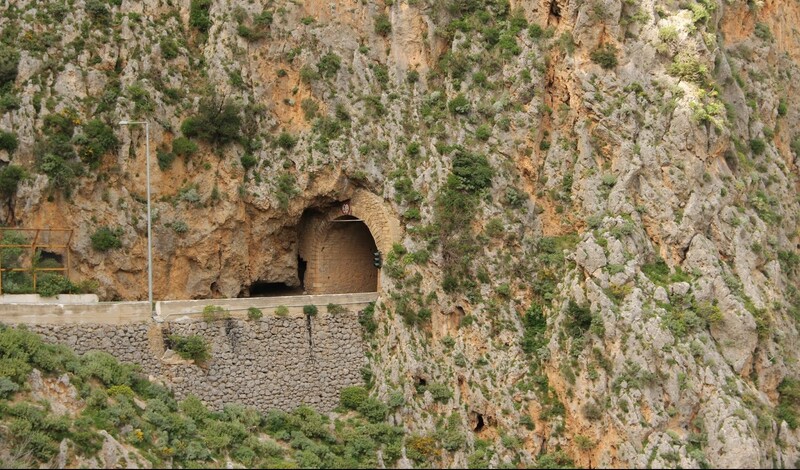 Right after you exit the tunnel, in about 200 meters you meet the cave of Saint Sofia on your right hand side. In the cave there is a small church of Saint Sofia as well. The entrance of the cave is about 25 meters and the high of the cave is about 20 meters full of stalagmites and stalactites. Local traditions say that Saint George in his try to reach the other side of the gorge with his horse entered the cave and jumped! Look for the horseshoe that is still visible on the rocks! 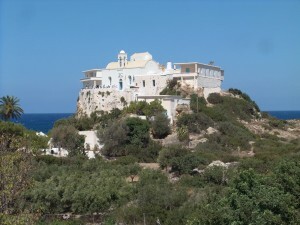 The monastery of Chrisoskalitissa is dedicated to Virgin Mary, Panagia. It is built on a rock of about 35m high with great views. To get on the top you have to climb 99 steps. The name Chrysoskalitissa means in Greek “Golden Step”. Based on the local tradition it is believed that one of the steps is full of gold! The monastery was built around the 17th century. People truly believe that the monastery has great power and on the celebration of Virgin Mary thousands of Christians visit it to pray. A big festival takes place then, 15/8. If you pass by the night before, 14/8 it worth visiting it and spend some time there. And finally, we reach Elafonisi beach! A paradise on earth. Protected by Natura 2000 Protection Program due to its beauty and the flora and fauna that can be found there. In the front side of the beach the water is shallow and safe for kids to have fun in the turquoise water of the sea. 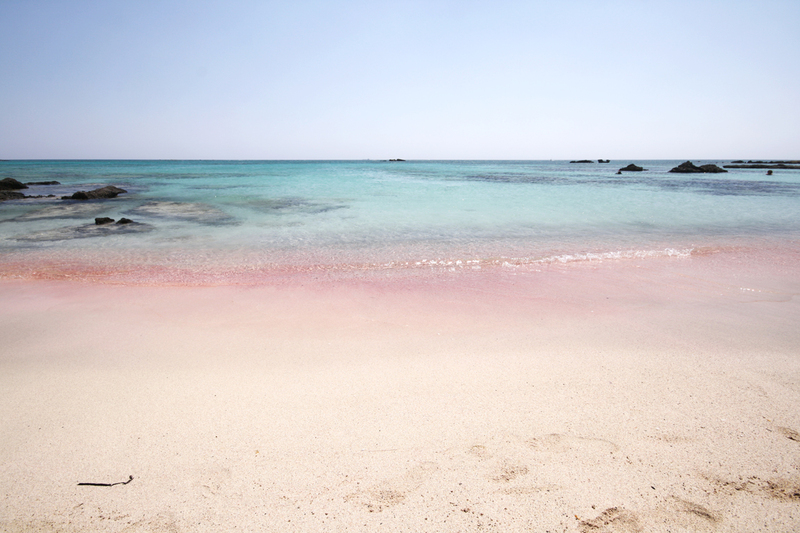 In several spots pinkish sand can be found due to the crushed shell powder. You can spend some time in the front side of the beach but it is highly recommended to walk to the island opposite the beach. 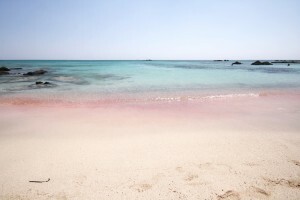 It is not organised with sun beds and umbrellas like the main beach but you can explore many small beaches on the side that faces the open sea. -Check the weather forecast or contact us to tell you the weather conditions of the area. It might be windy so you might not enjoy it as much as possible. The selection of the right day is important. -Take an umbrella with you to have the ability to stay longer at the small island that is not organised. -Take water and other supplies on the way to Elafonisi to avoid long queues. Turks on 1824 massacred 850 people on Easter Sunday. The massacre was carried out to punish of the rebellious Cretan people, as the victims were mostly women and children. 850 old people, women and children were hiding in the island to avoid advancing Turkish Ottoman troops. Forty armed men was on the island as well to protect them. They were waiting for a ship to take them to the Ionian Islands. Whoever was not killed was sold as slave to Egypt. The date was 24 April 1824. In February 1907 the SS Imperatrix ran aground on the reefs in Elafonissi. 38 of the 140 people aboard (120 crew and 20 passengers) who were travelling to India died. To prevent similar accidents in future a lighthouse was built on Elafonissi to protect seafarers from the dangerous rocks. The lighthouse was destroyed by the German army during the Second World War, and has been replaced later by a modern one. 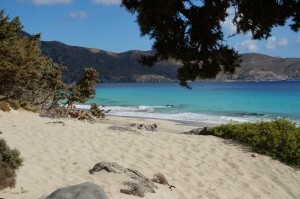 Kedrodasos is another hidden paradise in Crete. It is a really beautiful beach and it worth visiting it for sure. The name means forest with cedar trees. The beach is protected and the European path E4 crosses the beach as well. As it is not an organised beach visitors should pay much attention and take care of any litter. People also choose this beach for camping as well. The trees offer great shade but everyone should take care of them. If you go to Elafonisi and it is windy it worth trying coming here as it is more protected from the winds! To reach the beach you have to walk for 10-15 minutes. It is not something rough but going there with a baby might be difficult. -If you go to Elafonisi and it is windy it worth trying coming here as it is more protected from the winds. -Take an umbrella with you with to have the ability to stay longer if there are no trees available. -Take water and something to eat as there is no facilities nearby. In case you are hungry and you want to eat there are various options in the area. The following are our suggestions. Comments Nice tavern next to Elafonisi and Kedrodasos beach. Highly suggested before you leave to Kissamos. Opposite to it there is also a mini market for supplies. Nice tavern in the village Chrysoskalitissa right before Elafonisi. Highly suggested especially for fish. There are some options to stay in Elafonisi area. Mainly rooms for rent. The above mentioned taverns also offer rooms for rent service. For more excursions in Kissamos area, suggestions and activities download our free guide in the form below! Feel free to share it! 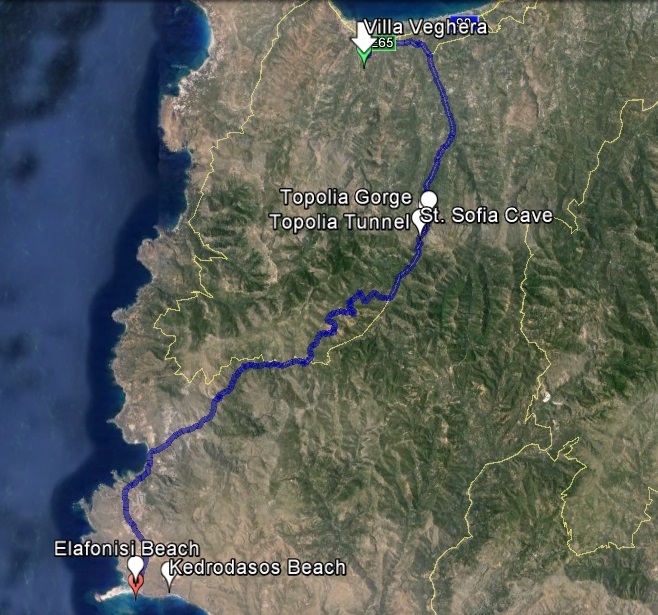 Detailed information about beaches, activities, restaurants and anything you need to know for Kissamos and West Crete! Indifferent to the divice you are using, you will receive it as an e-mail attachment. Villa Veghera was absolutely perfect. "My family and I loved it! Clean, beautiful, spacious, perfect getaway." "...Nicely decorated with all the comforts and friendly hosts..."
"...Service, hospitality, cleanliness and living conditions for six people are excellent..."
"...The house, the facilities, the pool and the area we found perfect..."
"...the Villa was above our expectations and your hospitality was kind and warm..."
"Superb location above Kissamos with beautiful views not only from the terrace but also from the rooms." "...Perfect location / Extremely comfortable villa / Absolutely helpful staff..."
"...A relaxing week in a fantastic villa in Kissamos and surroundings..."
"...Everything was great. 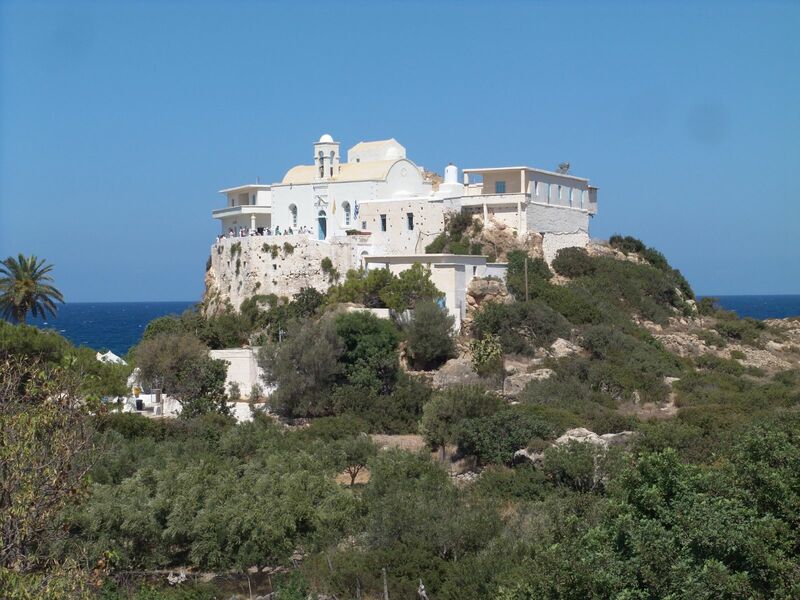 Thank you..."
"...We have had the most amazing experience, and Michalis has been the best host we can imagine..."
"...Our experience with Michalis and Villa Veghera was awesome..."
"...Great family vacation in total relax..."